Racing isn’t just about the screeching wheels that hit the tarmac, it’s much more than that. Only this time, it was our shoes that my son (Roiston) and I, hit the urban streets with. 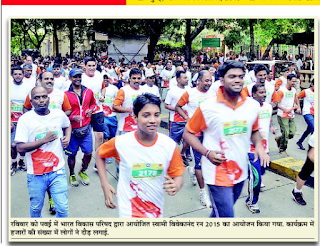 On the 13th of September 2015, The Swami Vivekananda Run was held at Hiranandani Gardens. My son, who is in 10th Std, decided to set apart time (from his daily study routine) for this Run. 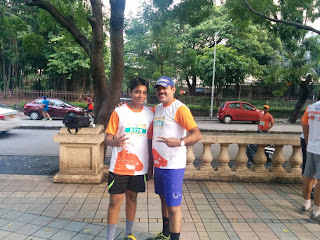 It was a great moment for me, as this was the first time that both of us participated together in a Mini-marathon. My son finished the race a whole three minutes clear ahead of me which only made me more happy and proud of him. 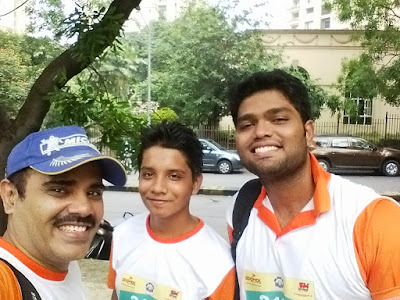 I extend my sincere thanks thanks to our coach, Uday Swami for constantly motivating and training us for the event. More than a thousand people participated in this event. It was a huge success overall. I am looking forward for more challenges. Roise, are you ready? Roiston is lucky, he has one great pop!